I want to share where my hubby and I spent our post-Valentine's date. But first, let me clarify that DH is against the "commercialism" of Valentine's Day. We all know that February 14 was just one company's ploy to get your money. So, the title of this entry is really just for my own satisfaction. For him, it was just an ordinary Sunday lunch. Anyway, whatever the occasion, the most important thing was we had a fulfilling meal at Seryna Japanese Restaurant. 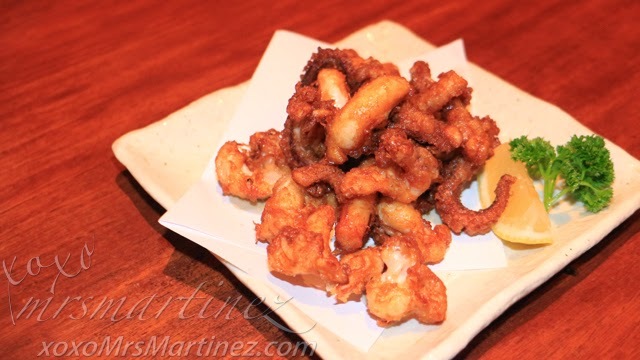 Ika Geso Age was the crunchiest and tastiest squid I have tried. I could not get enough of it, best when eaten immediately upon serving. No need to squeeze the lemon on the side although I found out later that the juice of the lemon altered the taste of the fried squid, in a good way. It's your choice, I can't decide which one is better. I can eat it any way. 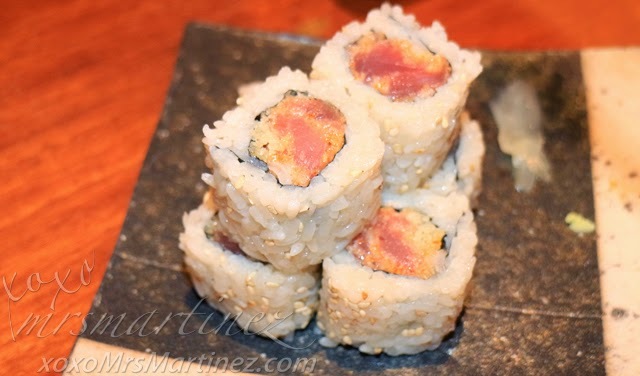 I am not fond of raw tuna but this roll, I like! 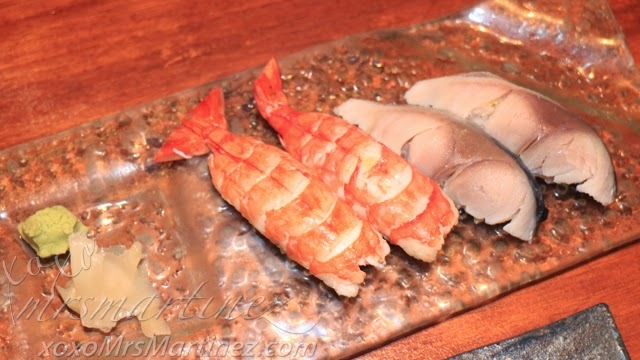 Same is true with Ebi sushi and shime saba which were all fresh and firm. DH's order of Makunouchi Bento Box included a mix tempura (1 shrimp tempura, 1 asuhos and vegetables), slices of tamago, tuna and salmon. There's a side salad and it also comes with miso soup. 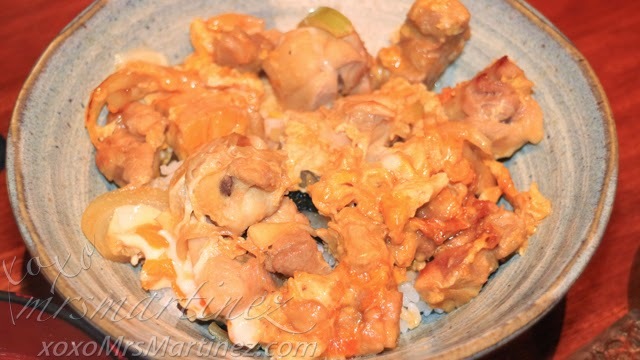 I ordered Izarubi Don. 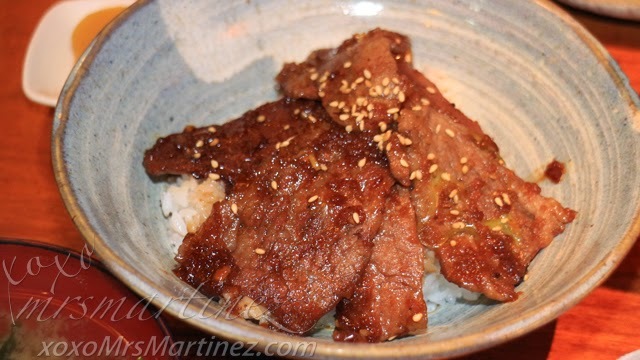 The beef is unlike that of gyudon. The slices were thicker, therefore, a bit hard to chew, not as marbled as I hoped. The chicken rice topping (pictured below) was for my daughter's yaya. 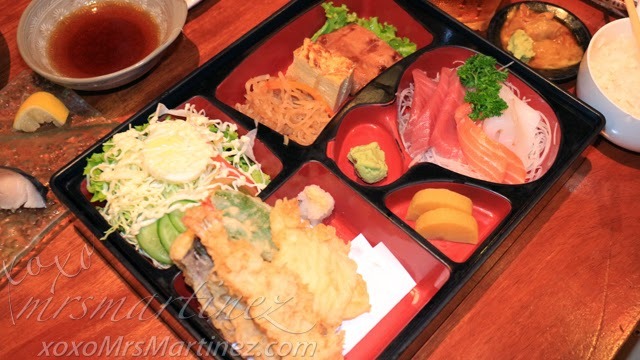 Seryna Japanese Restaurant is located at 2277 Chino Roces Avenue, Makati City. For reservations, call 894 3855.